We invite you to a FREE taster session on Saturday 30th March between 1.00-3.00pm and, if you are hooked by the end of the session, will be offering a special package of 2 group lessons each week for 6 weeks ! 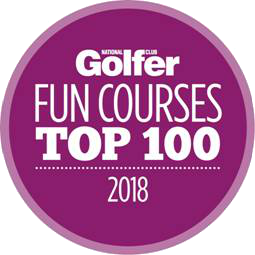 The lessons will be provided by our PGA Professional & his team with the aim of building your confidence and delivering coaching that is both effective for you, but most importantly, enjoyable! golfopsmanager@tadmartongolf.com, telephone 01608 737278 or fill in the form at the bottom of this page. The game of golf is wonderful for the psyche. It keeps the mind alert and provides vital human contact, along with several other benefits to mental health. Weighing up the risk / reward elements of a particular shot, totting up scores and the other various facets of the game all aid in keeping the mind sharp. 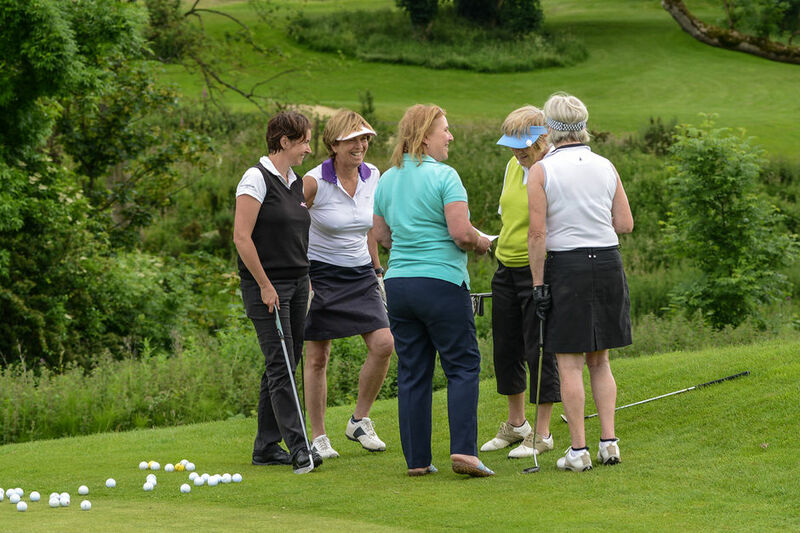 As well as being a fiercely competitive sport (assuming you want it to be), playing golf can be a great social activity. Golf clubs used to have a reputation of being the domain of the well-heeled elite. Fortunately, includin Taddy, this reputation is well and truly outdated with the game available to players of every class, ability and budget. We are welcoming to new members, with plenty of experienced players happy to pass on tips and hints to beginners. The golf clubhouse is a wonderful venue for socialising, meeting people with a variety of lifestyles and making new friends. Just a good walk in the fresh air does wonders for improving mood and reducing levels of stress and anxiety. 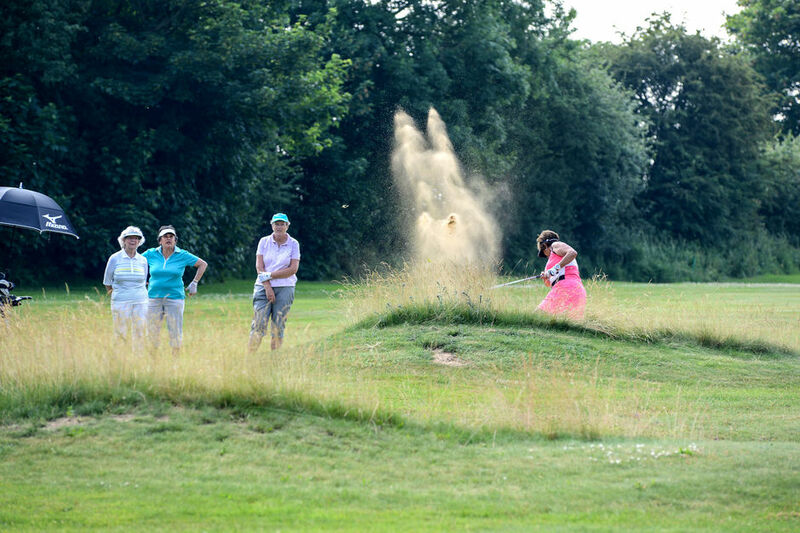 Golf provide the ideal escapism from the hassles of day-to-day living the game can provide great relaxation. Easy to Learn, Impossible to Master, Everyone on a level Playing Field! Getting started in golf is straightforward and inexpensive. However, it is wise to achieve a reasonable level of proficiency, either by practice and / or tuition to avoid frustration when venturing onto the course. Our Academy provides the perfect foundation to beginners, bridging the gap between starting and being a competitive, regluar player. The handicap system means you don't have to be as good as your opponents or playingpartners to enjoy a competitive game! Aside from mental health considerations, golf can form a superb part of a physical fitness programme, for players of every age and both sexes. The golf swing in itself is great for providing a full-body workout. Each full swing exercises arms, legs, back and abdomen, with numerous repetitions over the course of a round - approximately 30+ times for accomplished players and many more for novice golfers. 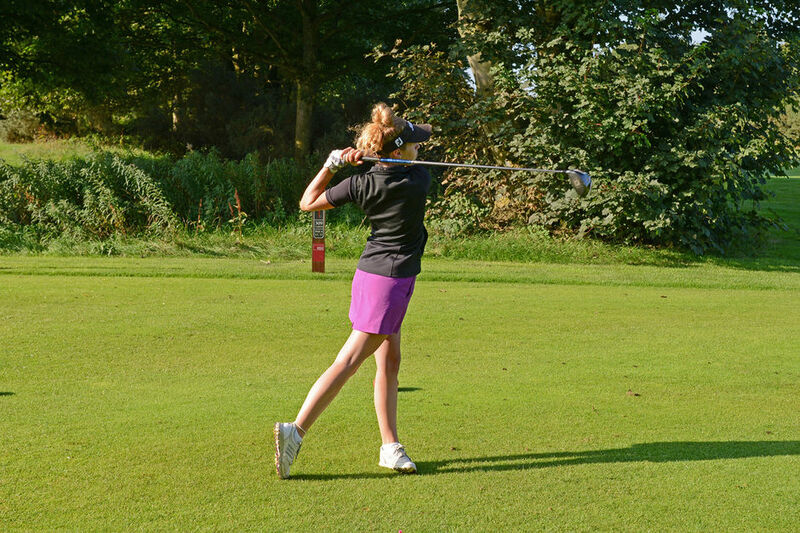 Attempting to improve your skill levels by practising on the range provides great exercise. Don't underestimate the walking involved - one full round at Tadmarton can range between 12,000-14,000 steps! A full, 18-hole round of golf at Tadmarton involves a walk of around 5-6 miles. Even on our relatively flat course, this equates to expending around 1,500 calories and even more if the course is particularly undulating. 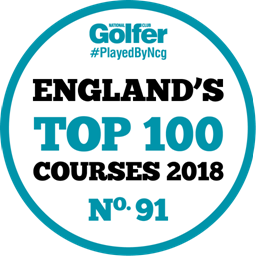 The less energetic players, who choose to ride in a golf buggy rather than walking, or wish to play a shortened round (usually 7, 9 or 11 holes here at Taddy), will still expend more calories than a strenuous, lengthy gym workout (and doubtless enjoy it far more!). The low impact nature of golf means you are less likely to cause injury than other activities such as acquet sports or running, leading to lesser chance of joint problems in comparison. What's it like to be a member at Tadmarton? I was a beginner of golf with no handicap and nervous about playing at a prestigious course when I arrived at Tadmarton Heath 13 years ago, - I shouldn't have been! From the day I arrived I was welcomed, encouraged, helped and included in the club and a mentor from the ladies section helped me get 3 score cards in so I could get a handicap. The ladies played with me on occasions, and encouraged others to get to know me. It didn't take long to feel part of the club, organise lessons with the pro team, started improving my game and 'finding my feet' to join in all the activities. I have so enjoyed Tadmarton, a great course with challenges but a steady walk, friendly people, and I'm playing a sport that is sociable and competitive which I expect to continue with for many years.